Get started homeschooling with this homeschooling info for those new to RVing. With our unique circumstances, the facts about homeschooling on the road are a little different. Let's look at them. If you're a full time RVer or new to RVing, traditional schooling for your children is not a possibility. For this reason, you may want to get started on homeschooling, which can easily be done while you enjoy traveling from place to place. Of course, this isn't a decision to be made lightly. You need to take some time, think it through, and make sure that following these facts about homeschooling is really what you want and the option best for your children. Once you decide that you really want to get started homeschooling, there are several steps you'll need to take. Follow these steps carefully and you'll find that obtaining homeschooling info becomes a much smoother process for you and your kids. The first step you need to take if you're ready to get started homeschooling and being new to Rving is to find out about the legal requirements in your state. It's important to realize that every state has different regulations that you'll need to follow. Check with this list of Domicile Information to find out all the requirements you'll need to follow, depending on what state you choose. Homeschooling is legal in all the states, but from state to state you'll quickly find that requirements can differ. When you are choosing a domicile, you may want to choose a state as a home base that has minimal requirements, which can make things a bit easier for someone new to RVing. The next step is to set up your RV for schooling. This needs to be done early in your homeschooling info pursuit. Space is limited, so a method that uses a lot of big books probably won't be your best option. 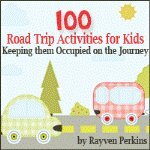 Curriculum that go with Kindle programs, online programs, or smaller workbooks usually work best for new to RVing. Keeping materials organized is important. Milk cartons or even Rubbermaid totes can offer a great place to keep materials stored. One for mom and one for each kid works perfectly and they can easily be stored under beds to conserve space. For easy desks that can be stored away, consider TV trays. Clearing your dining table every time you want to eat can be tough, but the TV trays can easily be stored so you have more room. Lapboards can be a great choice as well, since they allow you to continue your school day, even while traveling in the RV. 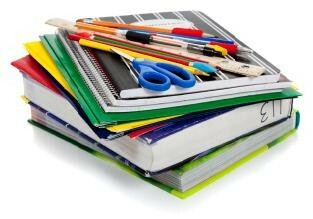 Before you get started homeschooling, choosing a curriculum and materials will be vital. You'll find many methods available, depending on what you're interested in. For a closer look at our options, there are several pages on this site that go over all the choices you have available to you. Realize that there is no one curriculum out there that is the "best" one for a student. You'll find many options that can work, depending on your preferences. "Roadschool" is an option that many families decide to choose. 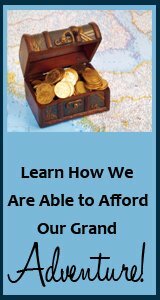 Essentially this involves homeschooling your kids while you're exploring the world. Instead of having books to teach your kids, you can choose to make your surroundings, which changes on a regular basis, the classroom for your kids. Roadschooling is more flexible, allowing you to take advantage of the opportunities for learning that pop up on a regular basis for those that are new to RVing. As you're getting together your facts on homeschooling, it's a good idea to take the time to implement a support system. 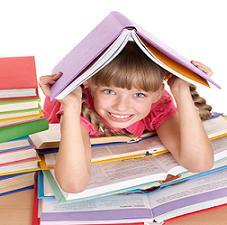 Local homeschooling groups can provide a great option. You can use Yahoo groups when traveling to find other groups in the areas you are traveling too. Let them know you are homeschoolers that are traveling and you may be able to get involved in some activities with these groups, allowing your kids to meet some of the local homeschoolers. As parents, you can enjoy some support from other homeschooling parents as you get started homeschooling, and they can probably help to answer some of your questions as well. 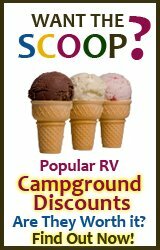 Another option is to use the RV Travel with Kids Forums, which offers interaction with other travelers. We offer this free forum so you can easily share your frustrations, challenges, and successes with each other. It's not just for parents either. Kids can enjoy forming friendships and talking with other roadschoolers on this forum as well. With this homeschooling info, you'll need to have a willingness to adapt. The entire world can become your classroom when you're living and traveling in an RV. Some families use traditional schooling methods and then begin to feel that they don't have time to follow it exactly when they are new to RVing. Sometimes particular curriculum can cause a lot of frustration and tears instead of learning because both the kids and parents get frustrated. Remember that you don't need to do it all or stick closely to the curriculum you choose all the time, which means you need to be adaptable. Many families that RV decide to choose a math program that is structured and then they allow the other learning opportunities to show up on their own. They allow the area they are in to influence what they study in geography, history, and other social issues. This option allows you to get started homeschooling without putting too much pressure on yourself or your kids, which is more likely to end up in success in roadschooling.